Malcolm Mitchell Young was an Australian musician and songwriter, best known as a co-founder, rhythm guitarist, backing vocalist and songwriter for the hard rock band AC/DC. Except for a brief absence in 1988, he was with the band from its November 1973 beginning until retiring in 2014 for health reasons. Young and the other members of AC/DC were inducted into the Rock and Roll Hall of Fame in 2003. Though his younger brother Angus is the more visible of the brothers, Malcolm was described as the driving force and the leader of the band. In 2014, he stated that despite his retirement from the band, AC/DC was determined to continue making music with his blessing. As the rhythm guitarist, he was responsible for the broad sweep of the band's sound, developing many of their guitar riffs and co-writing the band's material with Angus. He was married to Linda Young and had two children, Cara and Ross. Young took a leave of absence from AC/DC in April 2014, to receive treatment for dementia. In September 2014, the band's management announced that he would be retiring permanently. He died on 18 November 2017. David Bruce Cassidy (April 12, 1950 – November 21, 2017) was an American actor, singer, songwriter, and guitarist. He was known for his role as Keith Partridge, the son of Shirley Partridge (played by his stepmother Shirley Jones), in the 1970s musical-sitcom The Partridge Family, which led to his becoming one of popular culture's teen idols and pop singers of the 1970s. He later had a career in both acting and music. David Cassidy hit the Billboard Top 40 charts 12 times, 5 as a solo act, and 7 times as a member of The Partridge Family. I'll always like "I Woke Up In Love This Morning". 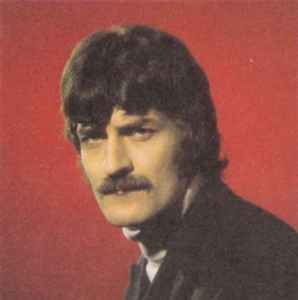 Raymond Thomas (29 December 1941 – 4 January 2018) was an English musician, flautist, singer and composer in the UK rock band The Moody Blues. The Moody Blues are an English rock band formed in Birmingham, England in 1964. They first came to prominence playing rhythm and blues music, but their second album, Days of Future Passed, which was released in 1967, was a fusion of rock with classical music and established them as pioneers in the development of art rock and progressive rock. It has been described as a "landmark" and "one of the first successful concept albums". The band became known internationally with singles including "Go Now", "Nights in White Satin", "Tuesday Afternoon", and "Question". They have been awarded 18 platinum and gold discs. The Moody Blues have sold 70 million albums worldwide. They will be inducted into the Rock and Roll Hall of Fame in 2018. Between the years of 1965 and 1988, the Moody Blues hit the Billboard Top 40 13 times. Near this date (today 3/28/18, historical date, 3/3/84) 34 years ago, this song was #2 on the Billboard Hot 100. Chuck!! I came over here not expecting to see something about a musician I knew! Thanks for the info about the Moody Blues. Of course, the fact that he's deceased puts a damper on things. I can't say how often "Nights in White Satin" has been an earworm for me and I know the monologue by heart. Now, about the 99 Red Balloons, a friend gave me a movie called "The Red Balloon" recently. It is a short French film about a boy who was "adopted" by a balloon. I wonder if the two things are related.